With simplicity laying at its core, Slack has always seemed like a perfect complement to Buddy. And so it happened: with over 50% share in active accounts, it is our most popular integration of all-time. With Buddy, you can trigger all of the above with a simple run command. Before you start, make sure that Slash command integration is enabled in Slack. 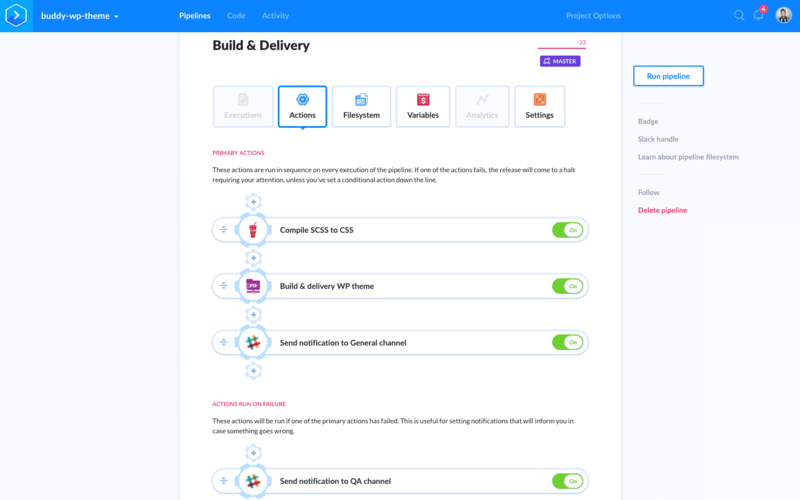 Add a build action to process your files before the deployment. In this example we’ll use Gulp to compile SCSS to CSS. Add a transfer action to your type of server. In this example we’ll deploy to FTP. 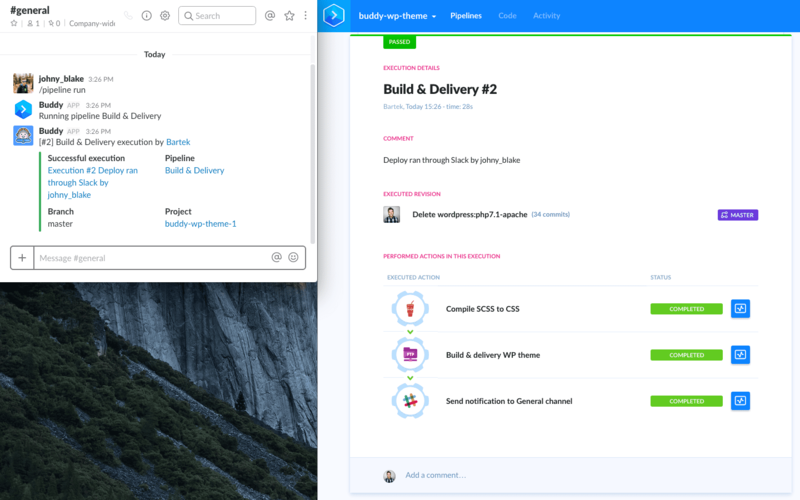 You don’t have to add Slack actions to a pipeline to be able to run the pipeline. However, we do recommend adding so that you know what’s going on in your project. where pipeline_name is the name of the command that you’ve entered in your Slash commands integration. Congratulations! You have just mastered Slack to an extent you don’t even have to leave it to build and deploy WordPress. How many developers do you know who can do that? Run deployments of your WP themes with the Slack command.